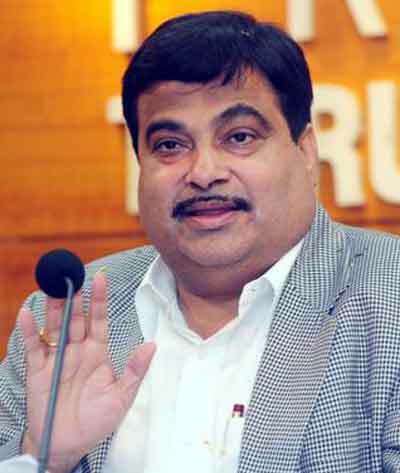 The Union Minister for Road Transport and Shipping Nitin Gadkari was appointed to head the BJP in 2009. He is known for the works during his tenure as a Public Works Department Minister in Maharashta when he had many roads, highways and flyovers across the state constructed, including the Yashwantrao Chavan Mumbai–Pune Expressway. Currently, he has been doing well as the Road Transport and the Shipping Minister in the NDA Govt. Gadkari recently escaped what could have been a fatal accident when the blades of his helicopter got entangled with the red carpet during a visit to West Bengal. Gadkari's details are based on his Solar Horoscope (Surya Kundli) as his birth time is not available. Currently Jupiter is transiting through the 3rd House of Nitin Gadkari's Surya Kundli. It will be aspecting retrograde Saturn till 14th July 2015. After that, it will transit over Jupiter through Leo. It will be aspecting planets placed in the 12th House of his Surya Kundli. Retrograde Saturn will be transiting over the natal retrograde Saturn through the 7th House till 1st August 2015. It is aspecting planets of the 1st House and the 4th House. Rahu will be transiting over natal Jupiter through the 4th House and Ketu through the 10th House post January 2016. 1) What do the stars indicate for the heavyweight minister in the NDA Govt.? Transiting Jupiter's sextile is with Natal Sun and Venus, and besides, it is aspecting the Lord of Fortune over the 7th House. Jupiter's will be transiting through Leo in the 12th House post 14th July 2015. These planetary alignments indicate that Gadkari's position in the NDA Government is safe and he would not be facing any problems. Moreover, his performance will be better post 14th July, 2015. 2) What may have caused such a mishap-like situation? Ganesha feels that there could have been a fatal accident as the transit of retrograde Saturn is aspecting the planets of the 1st House and the 4th House (over the Lord of the 8th House). Transiting Sun and Mars (Lord of the 12th House) is aspecting the 8th House of the Solar Chart. 3) What are the planetary influences that may have saved him? The transit of Jupiter and Venus (the Lord of Solar Chart) is forming a sextile with Venus and Sun. Besides this, Jupiter's positive aspect over retrograde Saturn (Lord of the House of Fortune) over the 7th House; these are the planetary alignments that averted what could have been a fatal accident. He is advised to take care till January 2017, as Saturn will transit through Scorpio till this time. 4) What does the future have in store for him and how will his further stint as a minister be? The future is safe for Nitin Gadakari as the transit of Jupiter post 14th July 2015 will also be favourable for his political life. However, he has to be careful while taking decisions on important matters, post January 2016 when Rahu will transit through Leo in his Solar Chart. Ganesha wishes Nitin Gadkari great success in his political life and even in general.